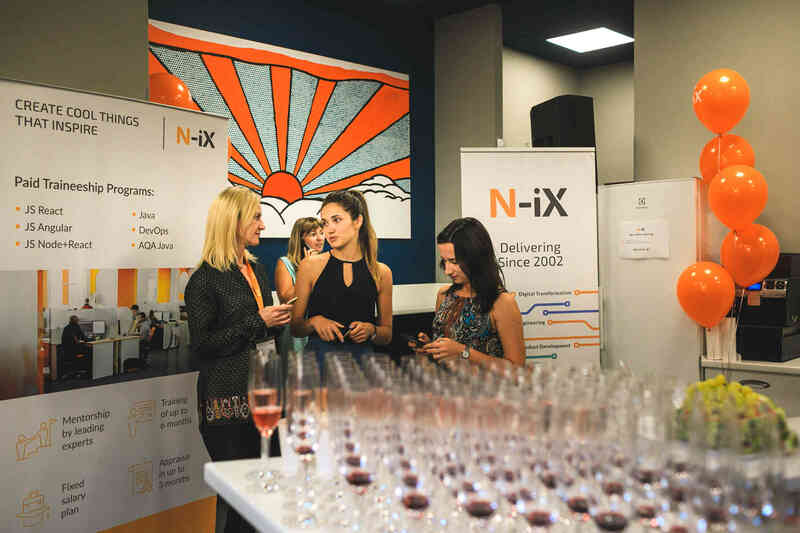 With 321% growth for the last three years, N-iX was led to expanding the company’s office space. 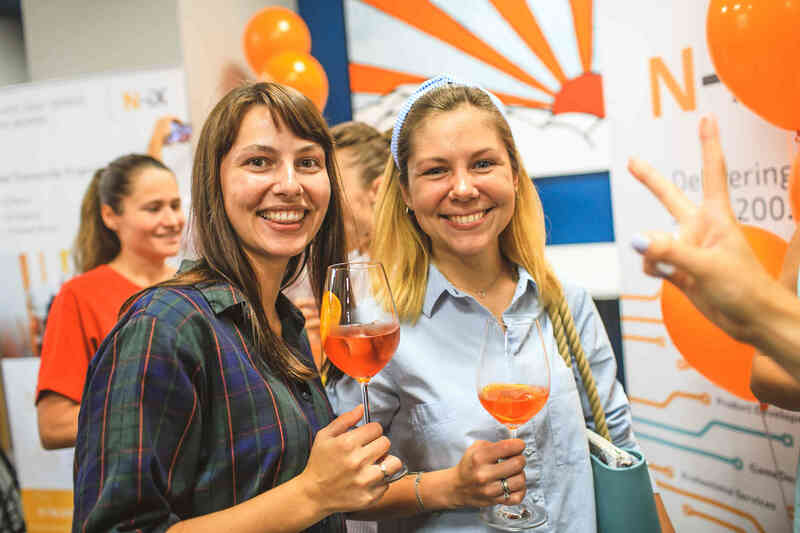 On August 22, a new office was officially opened in Lviv. The office is situated in the gorgeous location among splendid historical buildings in the very center of the city, Shevchenko prospect 9. A window view from most rooms opens the energetic central avenue of Lviv, which shares its inspiration and thrill. 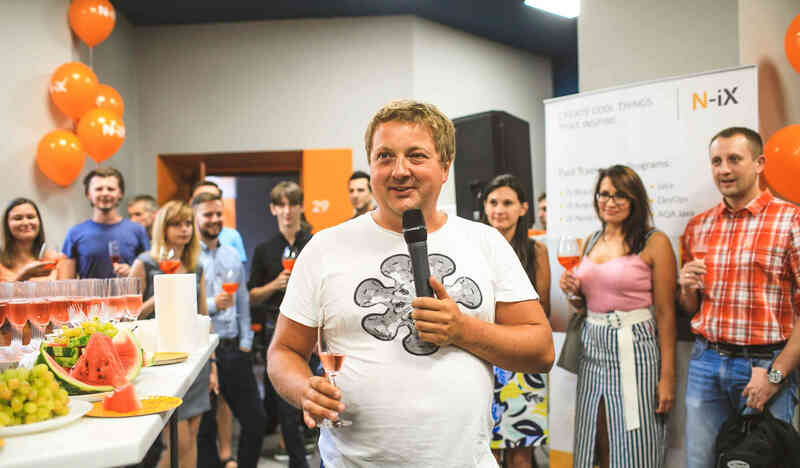 “The office is located in a very active part of the city and I believe the place will become a bright hang-out place for creative N-iX’ers and friends of N-iX.” – announced his thoughts on the opening Andrew Pavliv, CEO and founder at N-iX, Supervisory Board Chairman at Lviv IT Cluster. 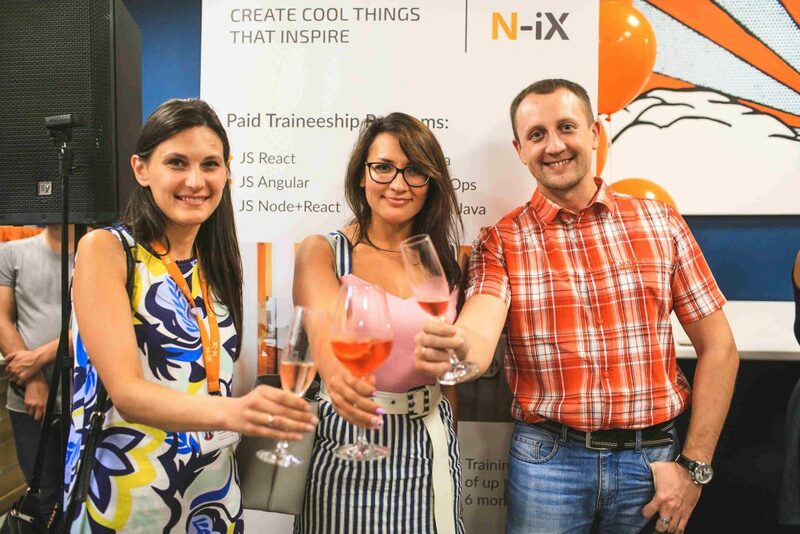 While the existing HQ in Lviv holds more than 650 specialists, the new N-iX space is planned to accommodate additional 100 specialists. 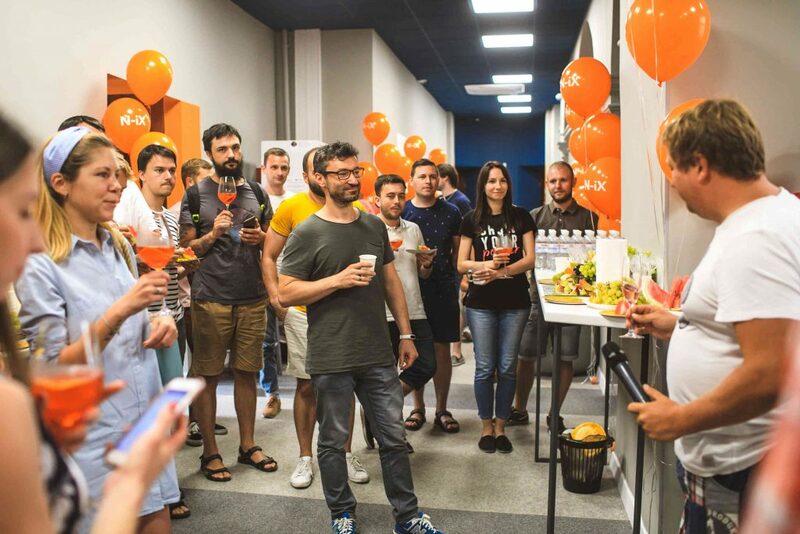 Over 60 developers from different teams have already moved into the new office. Space contains modern workrooms of bigger and smaller sizes to fit the needs of different teams and sub-teams. The office also has two conference rooms (for 30 and eight persons) and a medium-sized but comfortable gym/restroom. Kitchen-studios on both floors create the feeling of more dynamic and free space. The overall design combines Scandinavian coziness and high-tech minimalist efficiency, which are mixed with bits of creative installations, art objects, and orange design elements corresponding to N-iX brand identity. Outside the office, there are many facilities of a different kind in a very short range. Lviv is known for its creative public places and most of them are concentrated in the historical center, where the office is located at.